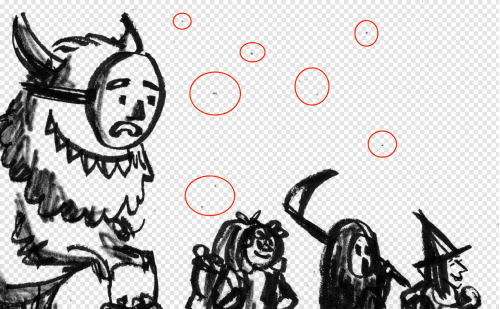 The FX Dust Cleaner allows you to remove the unwanted pixels off a scanned drawing. 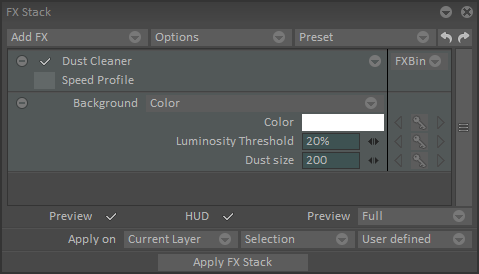 In the main menu, go to Effects > Color > Dust Cleaner, or directly click on the FX Stack icon > Add FX > Color > Dust Cleaner. Background: set the background as Transparent if you are using an image with a transparent background (e.g. an image you already cleaned with the Scan Cleaner). Set the background as Color if you are using an image with a colored background. 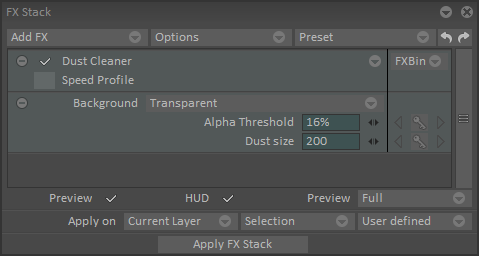 By default, the Alpha Threshold and the luminosity threshold are set at 10%, it defines the minimum transparency or luminosity required to detect dust. 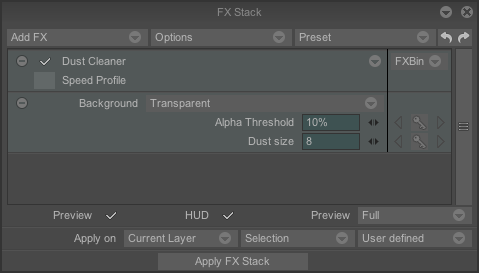 Dust size defines the maximum size for pixels to be considered as dust. If you are working with a color background, there is an additional parameter Color. In the Color field you set the color of your background by picking it in the image.